There is the possibility of Arsenal losing one of its highly-influential players to a two-match ban in the coming days. 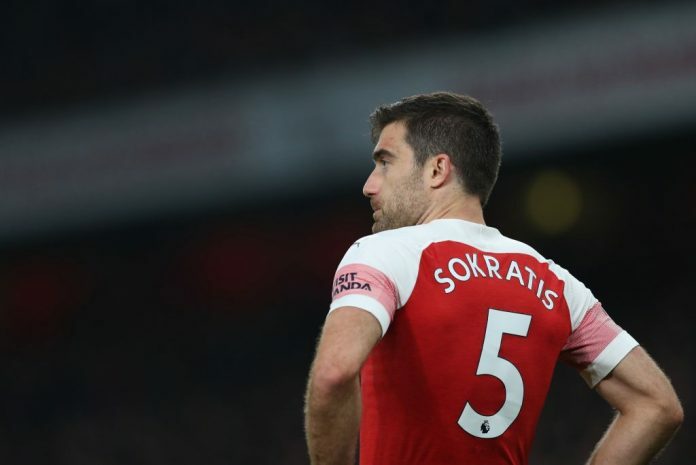 Sokratis Papastathopoulos will have to be missed should he get a yellow card in Sunday's encounter with Everton. Arsenal play their 32nd game of the league when they visit Merseyside two days from now and being the next cut-off date, Sokratis who has accumulated a total of nine yellow cards will be suspended if he adds to that tally on that day. Games with Watford and Crystal Palace are the potential matches the Greek international is at risk of missing.